We have piles of doubletrack here, not all of it is suitable for ADV bikes. All trails are currently unmarked, and not graded for difficulty. We’ll share a few of the “Safer” places to go. For the record, the image depicts a much harder off-trail option for the adventuresome. 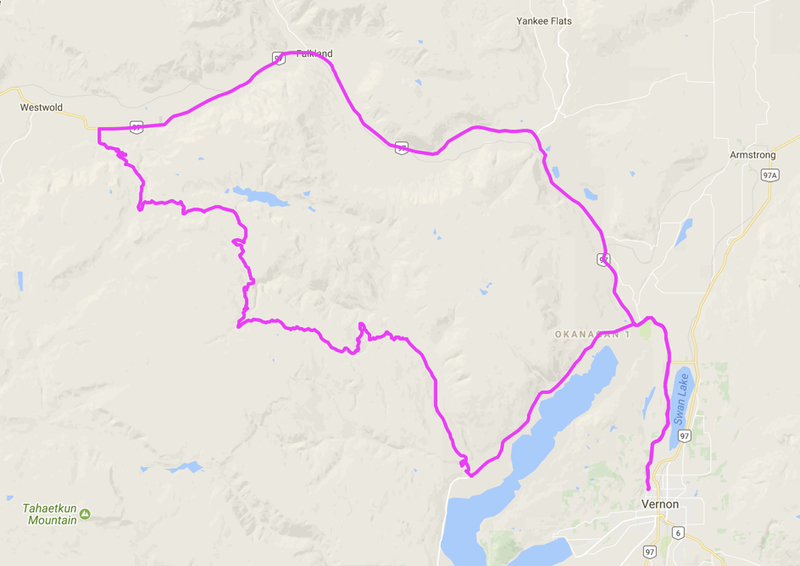 Enjoy this scenic route through a series of haul roads around Vernon. 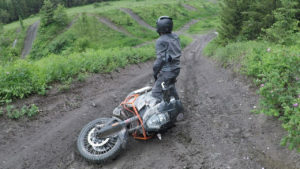 Portions of the road get a bit rough, and are rather slippery when wet. 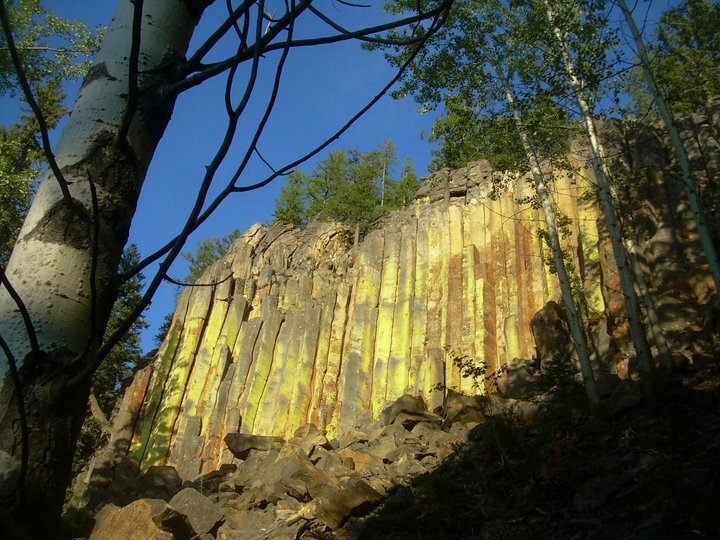 Check out the optional leg and short hike into Aberdeen Columns.